Motor Legal Protection: it may not be as exciting as the new iPhone, and definitely not as fun as a full season boxset, but here’s how it could be the most worthwhile. 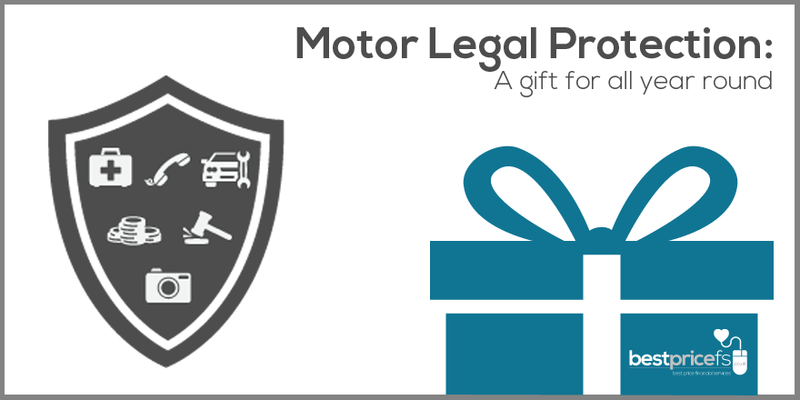 While you may have spent hours shopping for that perfect gift this past Christmas, for any young drivers who have recently passed their driving test, the reassurance of motor legal protection (MLP) may be just the thing they need. Statistics show that 44% of young drivers have had a road accident, however minor. Regardless of who is at fault, these figures show how important it is that those who are new to driving, or under 24, should safeguard themselves with motor legal protection. If you or your child is in an accident that is not their fault, MLP will help recover any uninsured losses. Lawyers’ fees of up to £100,000 are covered for claims such as personal injury, vehicle repair, costs, car hire charges and any policy excess. With premiums for young drivers being pricey, third-party cover is often the cheapest and most viable option. However, the lack of cover afforded by this option makes motor legal protection a must. At only £9.99 a year, Best Price FS offers you security as well as unlimited vehicle hire in non-fault accidents. And best of all, hire car cover is available for drivers of at any age. Basic motor legal protection cover can cost as much as £30, and people may not even know what they are covered for. Best Price FS offers the most affordable cover with exceptional quality. With your peace of mind insured, you’ll know that you won’t be stung by any unexpected fees and that your child is covered in the event of an accident. Christmas may be over, but this could be the most worthwhile gift you give for all year round.